The series has garnered huge ratings in it's Tuesday night slot and was recently given a fourth series by the BBC. This third series saw the shock departure of DI Richard Poole (Ben Miller) and the introduction of hapless DI Humphrey Goodman (Kris Marshall). Though fans on twitter were stunned by Miller's brutal exit the shows ratings have proven that Marshall, and the show's format as a whole can still bring in huge viewing figures for the BBC. DI Poole’s tragic death ushers in the arrival of new detective, DI Humphrey Goodman, played by Kris Marshall (My Family, Love Actually). But while he enthusiastically embraces Caribbean life, his new team of Camille (Sara Martins), Dwayne (Danny John-Jules – Red Dwarf) and Fidel (Gary Carr – Downton Abbey) quickly realise they’ve got another eccentric and rather frustrating Englishman on their hands. 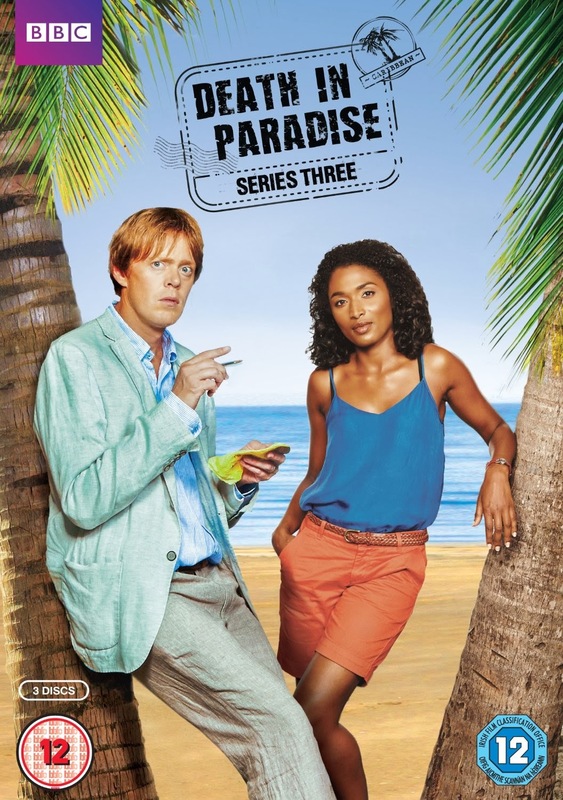 Death in Paradise (Series 3) is available on DVD from 10th March. DVD extras include ‘Behind-the-Scenes’ footage and ‘Outtakes’ from the show.